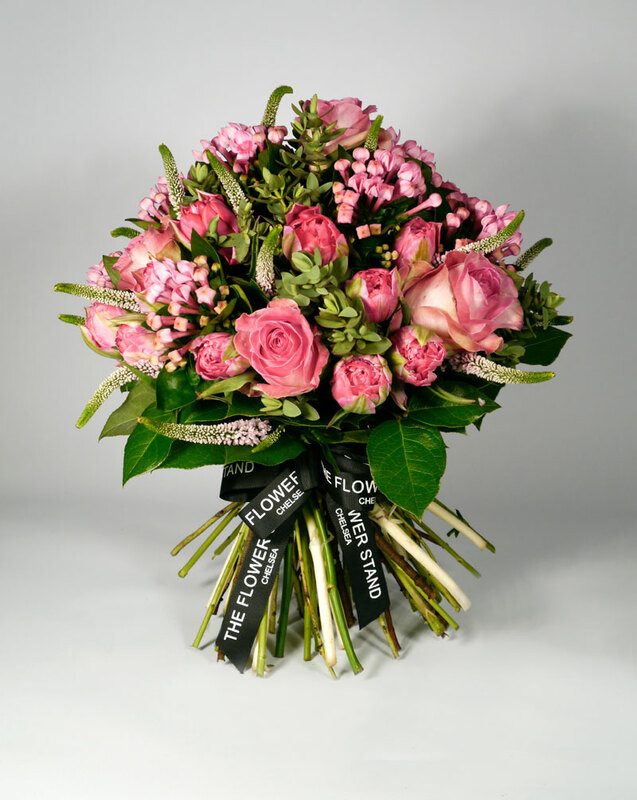 Categories: Valentines Day Bouquets, Autumn Flowers, Mother's Day Flowers, Roses, Spring Flowers, Summer Flowers. Beautiful floral arrangement of Pink Tulips, Avalanche Sorbet Roses, Pink Veronica and Pink Bouvardia into a stunning Tulip and Rose Posy. Tulips are some of the most popular flowers, valued for their vibrant and wide ranging flower colours and shapes. 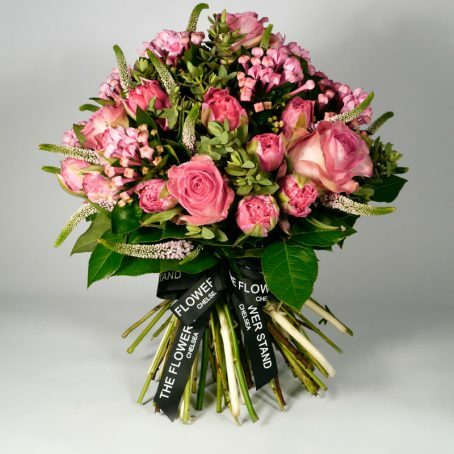 Avalanche Sorbet Roses are pink headed Rose with large, blowsy flower heads and a long vase life. Two dozen beautiful Red Naomi Roses and Eucalyptus. 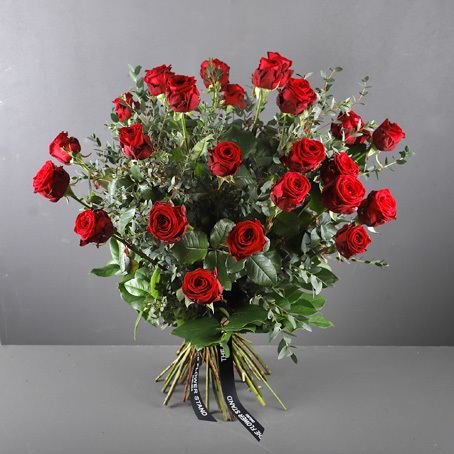 Red Roses make the perfect romantic gift and this luxury bouquet really will astound your loved one. Luxury White Orchids. 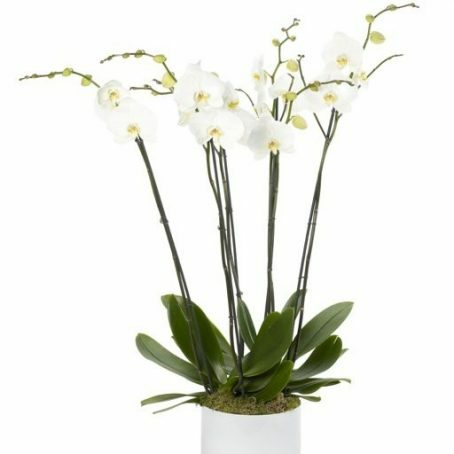 A choice of one, two or three stunning double Orchids in a beautiful large white planter. This beautiful Orchid Planter makes the perfect gift, that with a little care will last for years to come. 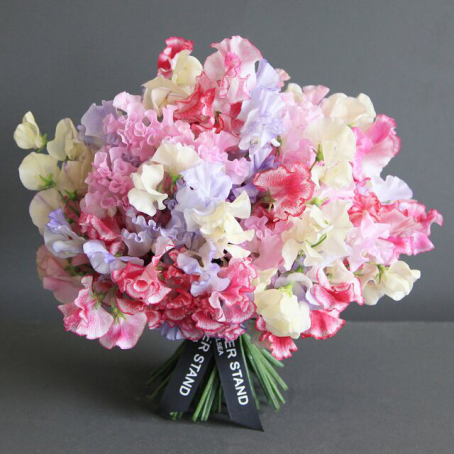 A colourful bouquet of Scented Sweet Peas. 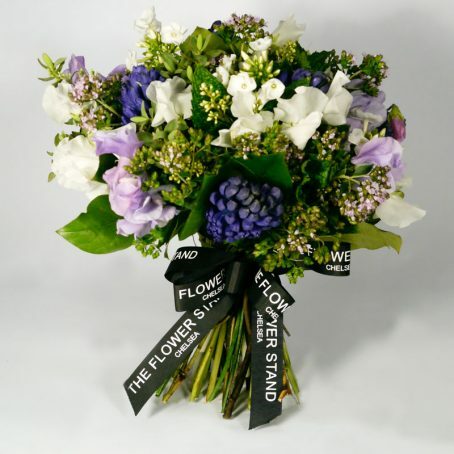 Our Dutch Sweet Peas are lovingly crafted into this vibrant arrangement of flowers at our Chelsea florists.